My tax accountant has a very dry sense of humor, as evidenced by the fact that he works in a high-rise office tower, yet somehow managed to land himself in Suite 1040 on the building's 10th floor. 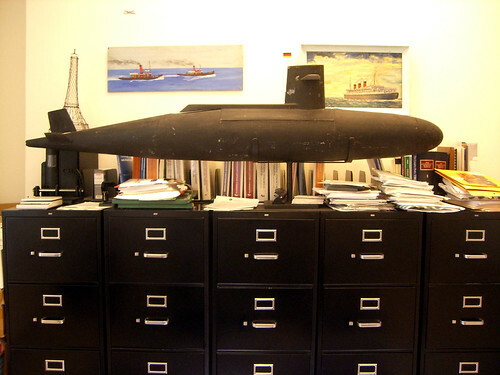 He also has a bit of a maritime fetish, and every time I go to visit I'm impressed by the huge model submarine he's got perched above his filing cabinets. He says it was a gift from a now-deceased client.